I tried this feature on Koha version 18.11.x. "No cover image available" plate on OPAC result reduce the beauty of OPAC interface. We can hide it using JQuery. 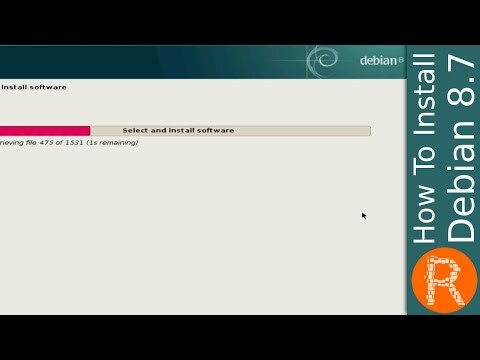 Copy and paste the following script into the box. Koha offer book covers display from various enhanced content services (e.g. Amazon, Google). Book covers can display on staff client and OPAC of Koha. Amazon website offer more comprehensive details regarding books compare with Google Books. 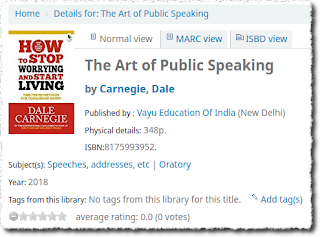 The display of book cover from Amazon Indian website available since the release of Koha version 18.11. The previous version had not listed Amazon Indian service. 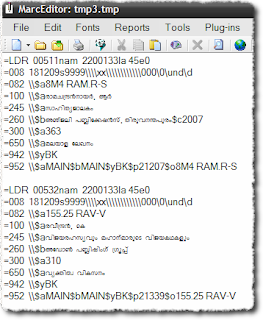 The bug 21403 reported by Prasanth Kumar, Library Trainee at IIITDM Kancheepuram. The bug resolved in Koha version 18.11. Here are the steps to display book cover from Amazon Indian service (http://amazon.in). IntranetCatalogSearchPulldown gives an advanced search facility along with the universal search box in staff client. This feature is convenient for Koha users to do an extended search without visiting the Advanced Search option. 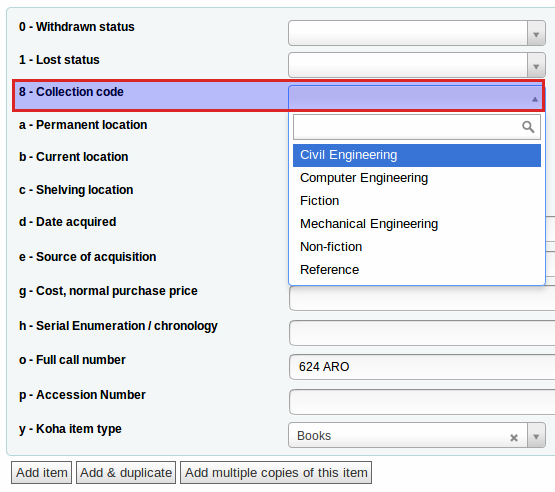 Collection management is easy and very convenient with Authorized values feature with Koha. 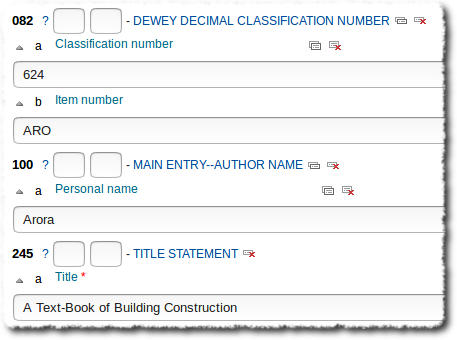 Libraries need to generate collections wise report of records. 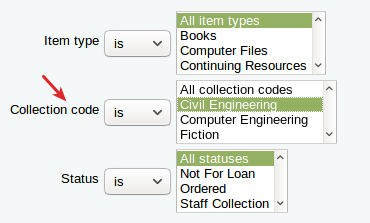 For example, an engineering college requires collection wise (Mechanical, Civil, Computer etc.) list of books. Such reports have to submit to accreditation agencies (e.g. AICTE, MCI) every year. 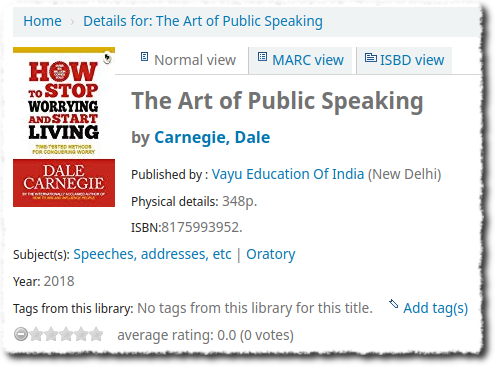 The same way libraries can create various collections like biography, autobiography, and travelogue. 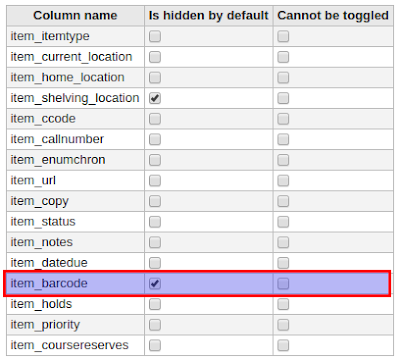 It is found that users add collection codes into Item Type (942$c) mistakenly. They don't know the availability of Authorized values for the purpose. Here are the steps to create collections with Authorized values and generate a collection-wise report. 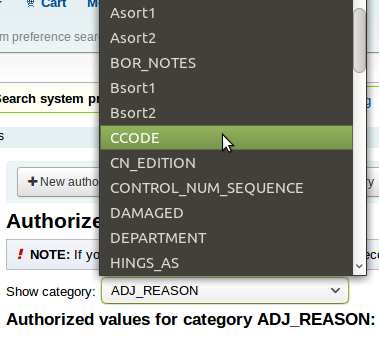 Select New authorized value for CCODE button. 1. Enter a shortcode for the new collection. Preferably in capital letter. 4. Select the library branch code. Same way creates other collections. Save the Biblio information of the catalogue. The collection code appears in the Item Information part of the catalogue. 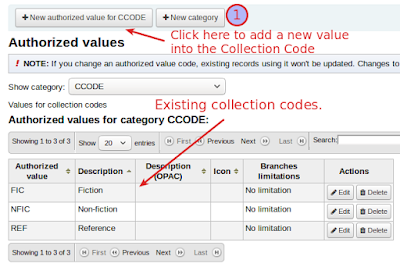 Select the appropriate collection code match with the record and save the record. 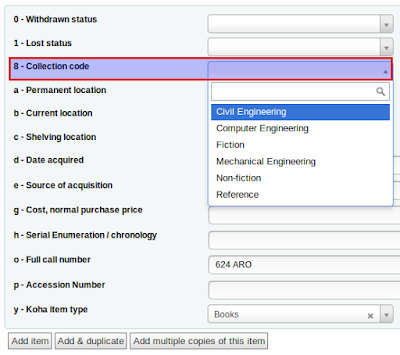 Item wise search available at Koha > Advanced Search > Go to item search (This feature available with the Koha version 18.05.x onwards). Select collection code and generate a report. The collection-based report generates and can view on the browser. The report can download as spreadsheet formats. 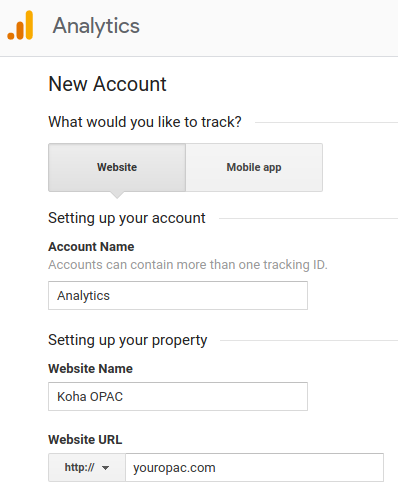 Koha OPAC Usage statistics on Google Analytics control panel. 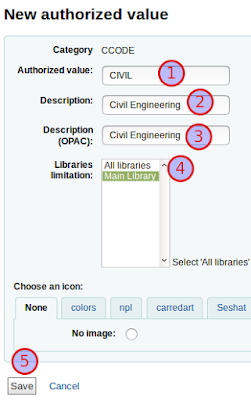 Many ways a library can track Koha OPAC usage. One method is that use any web analytics software like Matamo. Another method is that use any web analytics service like Google Analytics. 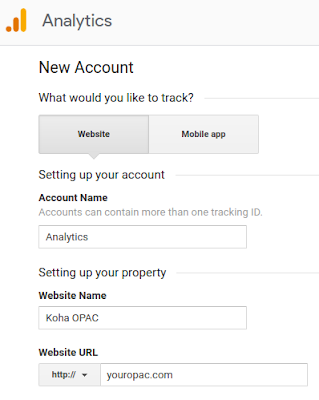 Google Analytics can configure with Koha and get OPAC usage statistics. Configure Google Analytics with Koha is easy compared with other tools. This works with only OPAC available on the Internet. 1. 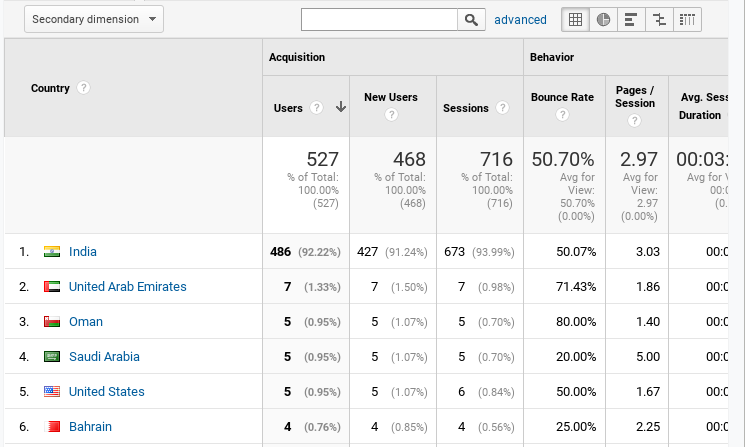 First login with Google Analytics using a Google account. 2. 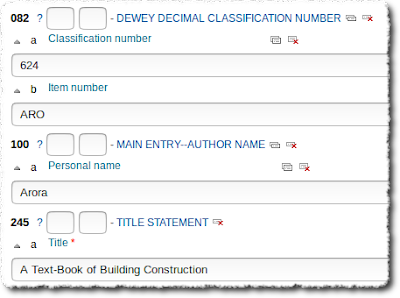 Start to create an account by filling the details of your OPAC available on the Internet. 4. 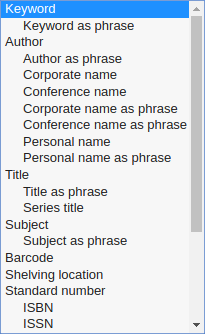 Copy the site tag and paste into Koha > Administration > System Preferences > OPAC > opaccredits and Save. 5. 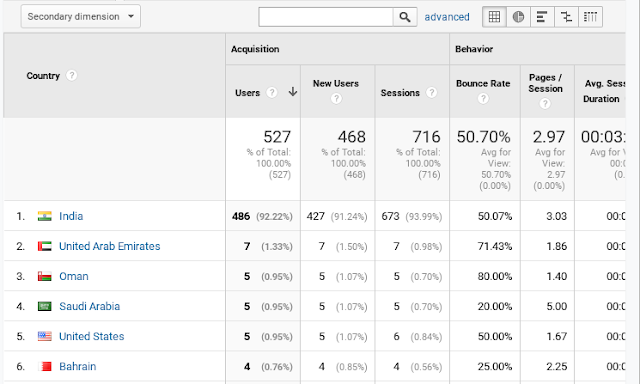 Check Google analytics next day see the usage statistics. 1. 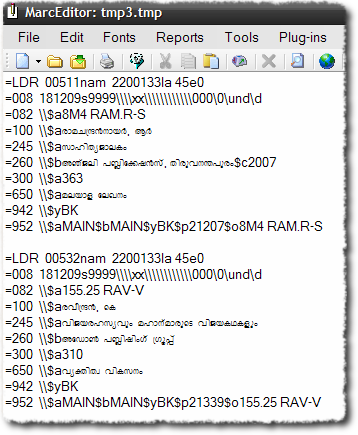 Save As the Excel file, 'Unicode' format. 2. 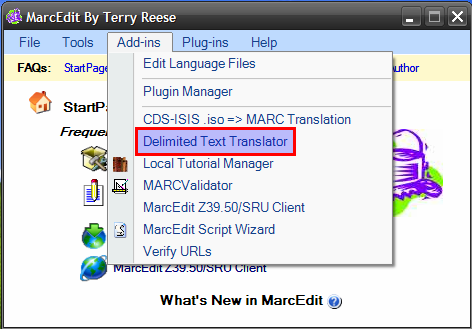 Download and install EditPlus software. 4. Save the file format as utf-8. 5. Use MARCEdit 'Delimited Text translator'to convert to MARC format. How to change master password of Koha ?